Despite slightly reduced ratings for its second season, A&E has renewed its Norman Bates origin story series Bates Motel for a third season, which will film in the fall. The second season is currently airing on A&E on Monday nights. The decision was likely an easy one, because even though the ratings have sagged a bit, they’re more than made up for by adding on numbers from DVR and video on-demand options. Plus, Vera Farmiga was nominated for an Emmy for Best Actress in a Drama Series last year, and that was a good get for a network that had just started broadcasting dramas that weren’t generic crime procedurals. 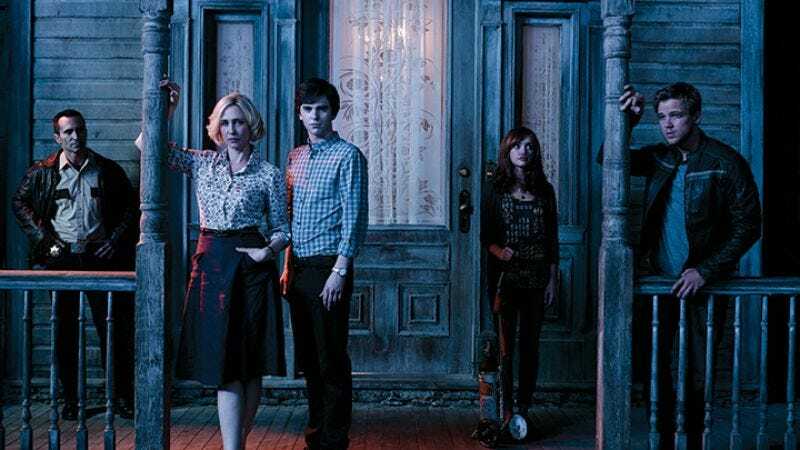 The show is produced by Kerry Ehrin and Carlton Cuse and attempts to tell the back-story of Psycho’s Norman Bates (Freddie Highmore) and his mother, Norma Bates (Farmiga). Despite the looks of confusion that result every time we mention this to others, it really has gotten quite a bit better in its second season.